Guardian Angel Zaliel – also known as the angel of challenges. He is a resident of the 5th Heaven. And he has dominion over Tuesday. Guardian Angel Zaliel can be invoked from the South. And his color is scarlet. 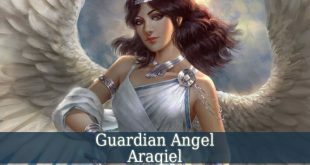 Guardian Angel Zaliel is the divine angel of challenges and grace. Therefore, he guides you through the challenges and difficult situations in life. He brings wisdom through challenges. If you don’t see the lesson of a difficult situation, then ask for Zaliel’s guidance. Because he will help you to face and pass any difficulties in life. And he helps you to discover and learn the lesson The Divine wants you to experience. The life of every one of us has its ups and downs. But they are both challenges that make us stronger physically, mentally and spiritually. Guardian Angel Zaliel also brings The Divine Grace Of God into your life. He fills you with mercy and compassion. Zaliel is also the angel of Tuesday. Therefore, he is the guardian angel of those who were born on a Tuesday. And he can be easily invoked on a Tuesday. 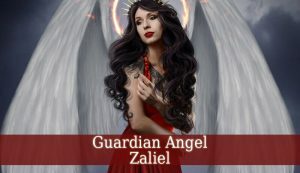 You can contact Guardian Angel Zaliel using different methods. The most common ways to contact angels is to pray. You can pray in front of an altar prepared for Zaliel with scarlet or red candles and crystals of the same color. But you can also meditate. Try a visualization meditation. Imagine a scarlet light around you. And you can keep one of his crystals in your palm. The most difficult way, but the most powerful, I think, is to invoke Zaliel in a ritual. It requires an altar prepared for the angel. And a really quiet place. So you can concentrate on the steps you have to follow. There are different invoking methods. Find the one that works easier for you.